On June 25th, 2016, LiveMD would like to wish Mozambique a very happy 41st Independence Day. Mozambique is a South African Nation that is located along the coast of the Indian Ocean. It has a population of approximately 27 million people and on June 25th they will be celebrating 41 years of independence from Portugal. In 1975, after the Carnation Revolution, the people of Mozambique declared their independence, ending 470 years of Portuguese rule. Mozambique is a country whose primary population lives in rural areas. Across the country, close to 70% of the people live outside of urban centers where access to healthcare, hospitals and doctors can be difficult and these vital amenities are often extremely scarce. Over 10 million of the country’s inhabitants are poor and live below the poverty line and close to 60% are illiterate. The average life expectancy of the people of Mozambique is 59 years of age and this is due, in part, to the fact that only 10% of the rural population have access to sanitation systems and only 35% have access to clean water. Mozambique is a country that is plagued by a plethora of different diseases. Cholera, sleeping sickness, yellow fever and tuberculosis are all rampant in this country, however some diseases are causing a bigger cause for concern. Although this disease has been almost completely eradicated in most countries, thanks to aggressive vaccination programs, Mozambique is still burdened by this disease. This disease is highly contagious and is still one of the major causes of death for children under 5 years of age. It is spread through the air by coughing or sneezing and causes a blotchy red rash. If complications develop it could lead to a severe fever, bronchitis or encephalitis. This disease is far too prevalent in Mozambique. Steps have been taken to provide mosquito nets to those in need and provide methods for spraying for mosquitos in doors. Despite these measures, many still suffer from the deadly effects of malaria in this country. For more information on malaria and its symptoms visit our blog post. HIV and AIDS is a huge concern for those living in Mozambique. Close to 12% of adults are living with this disease, the majority of whom are women. Although many measures and educational initiatives have been taken to attempt to stop the spread of HIV and AIDS, infection rates are still high. For more information on this disease, visit our blog post. Leprosy is unfortunately extremely common in Mozambique. It is an infectious disease, caused by bacteria, that can cause painful sores, nerve damage and disfigurement. If not treated early on this disease can progress and eventually lead severe disability and possibly death. Being situated on the Indian Ocean, Mozambique frequently experiences severe tropical storms and cyclones. These cyclones bring with them strong winds which can destroy homes and heavy rains which can flood entire villages. Many lives are lost each year due to these tropical storms. 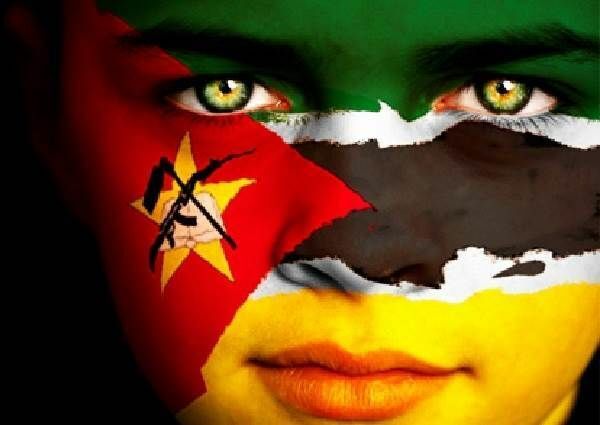 On June 25th, LiveMD would like to extend a sincere “Happy Independence Day” to the people of Mozambique. Our goal is to provide easily accessible, quality healthcare services to people from around the world who are in need of care. If you have questions about your health or are in need of advice, please visit our website today at www.mylivemd.com.